Check out this family of Roses. Can't get enough! What an amazing beauty! 'White Meidiland' has the largest flowers of all the Meidiland sisters. 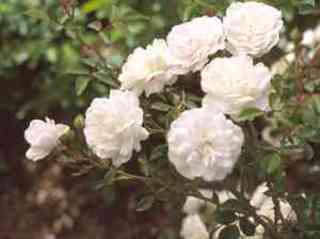 Her pure white blooms repeating throughout the summer reiterate the importance of family standings. With a groundcover-like habit, spreading canes venture 4 to 5 feet. Glossy, deep green foliage looks great covering slopes and banks. 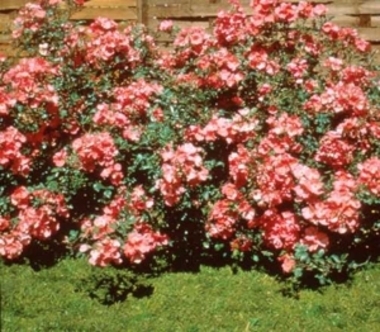 She has great old rose style with disease resistant foliage too! 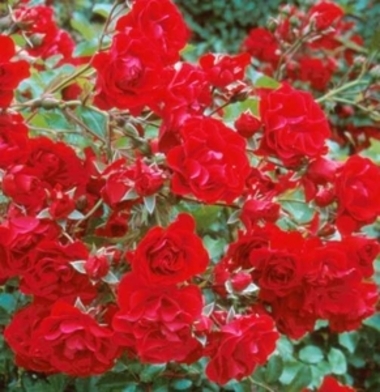 "Red Meidilands" are resistant to the Japanese Beetle, as they are red and not as fragrant. 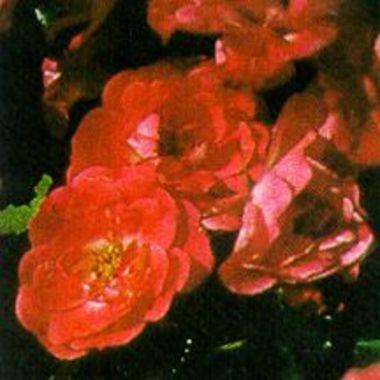 "Pink Meidiland" roses are so easy to care for- so if you have a busy life and still want to impress the neighbors this one is for you!